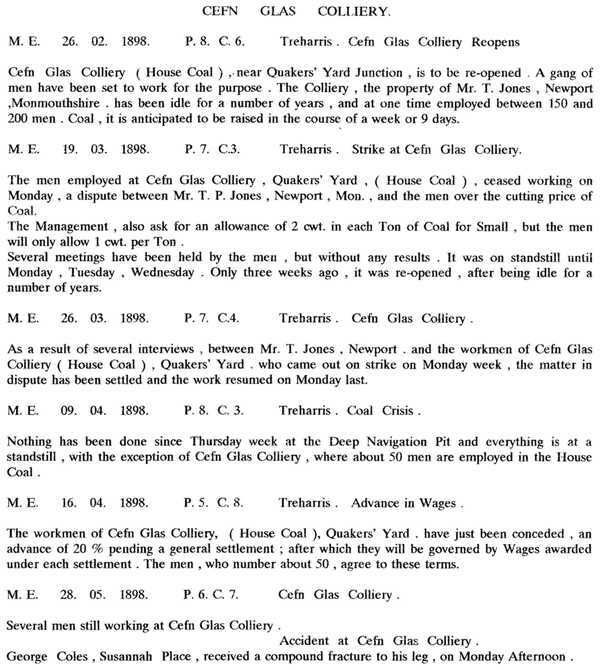 The first records I can find about Cefn Glas Colliery date back to the local newspaper report from the Merthyr Telegraph in February1872. 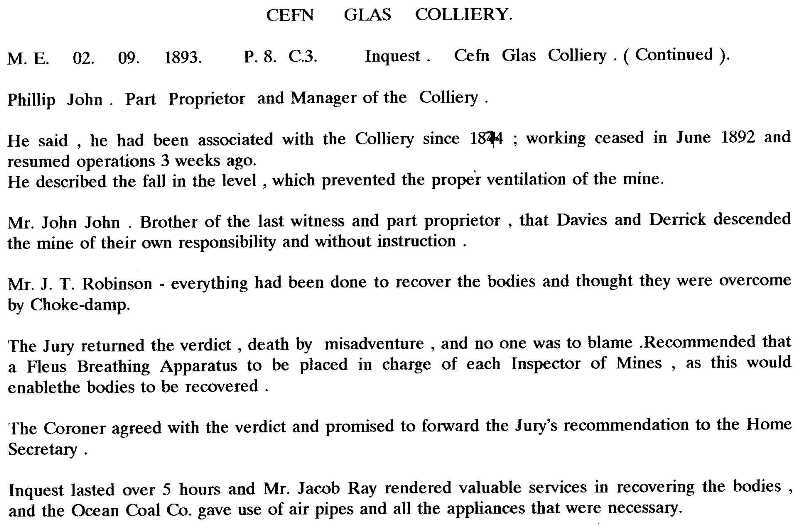 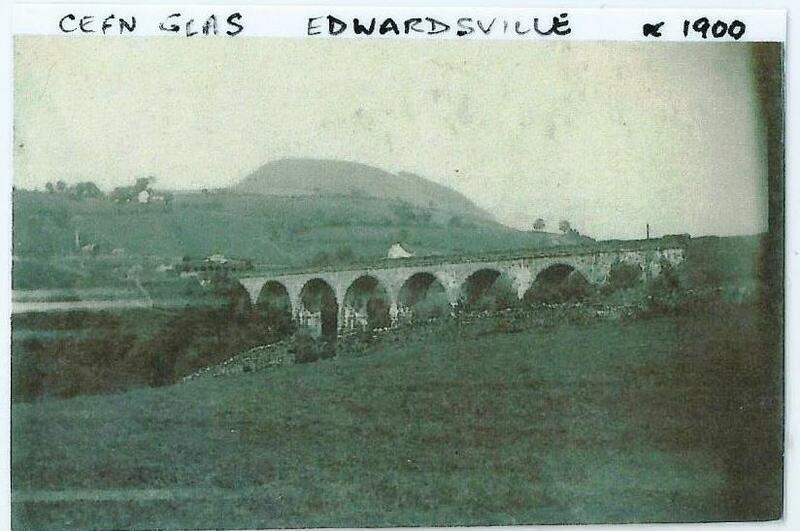 The paper reported that the mineral property of Cefn Glas had been purchased by Messers Wood and Co. of Dudley and in one weeks time preparations would start to be made for sinking to the coal seams. 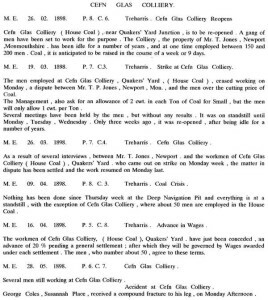 An advertisement, that also ran on the 9th of February, in the same paper, was placed stating that they were looking for 4 sinkers and 4 labourers to be engaged in the sinking of the colliery. 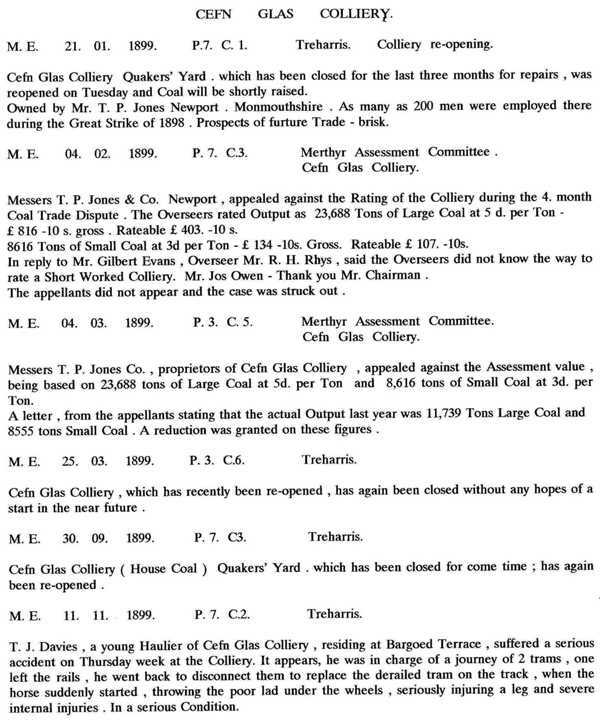 In January 1873, they were producing house coal and an advertisement was put in theTelegraph for the sale of 140 tons of excellent house coal, the sale was taking place on the bank of the Cefn Glas colliery, Quakers Yard. 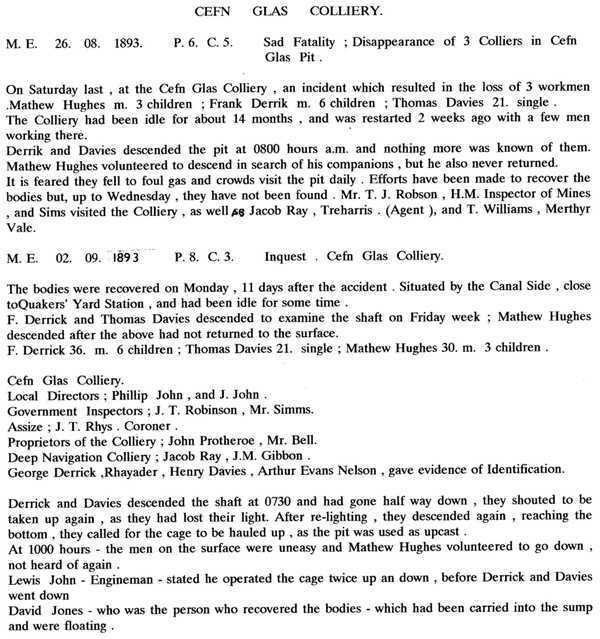 This small mine was situated between Quakers Yard and Pontygwaith…it probably mined bituminous seams. 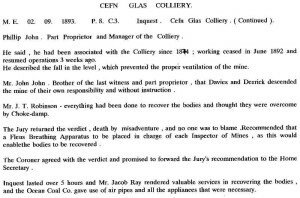 In 1883, Cefn Glas colliery was owned by the Jones Brothers and raised 3,799 tons of large coal and 1,795 tons of small coal. 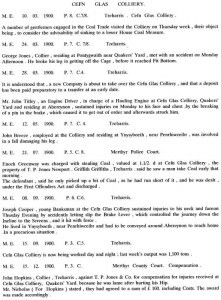 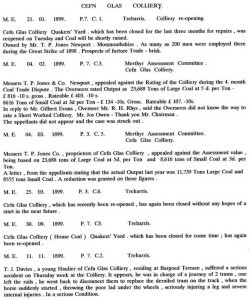 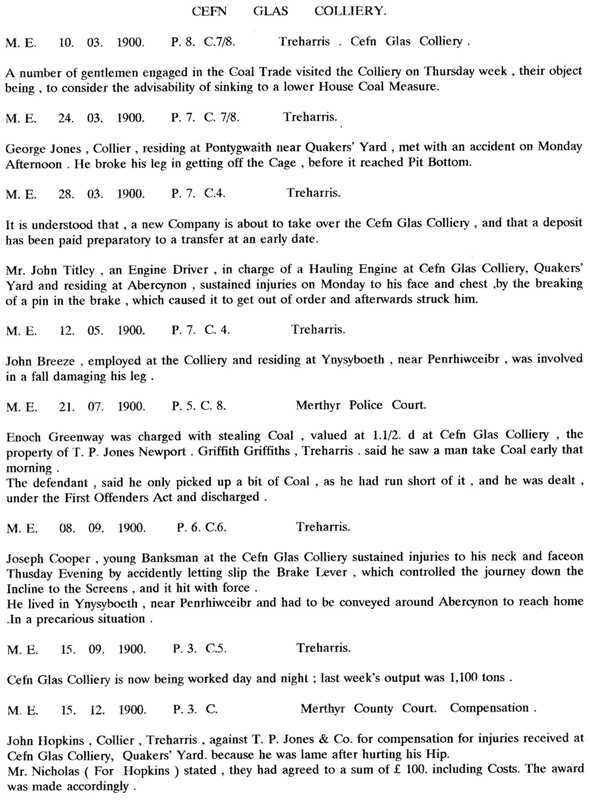 The following are stories about the Cefn Glas Colliery that were reported in The Merthyr Express (M.E.) 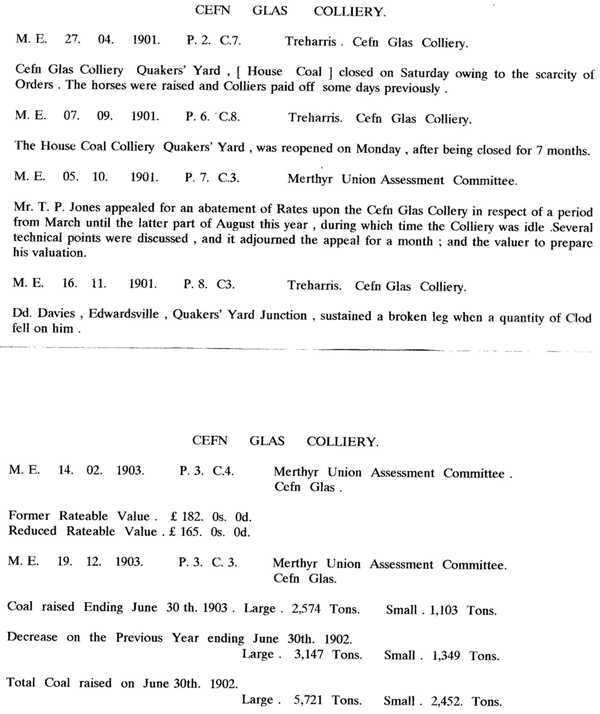 between 1893 and 1904, when the colliery closed. 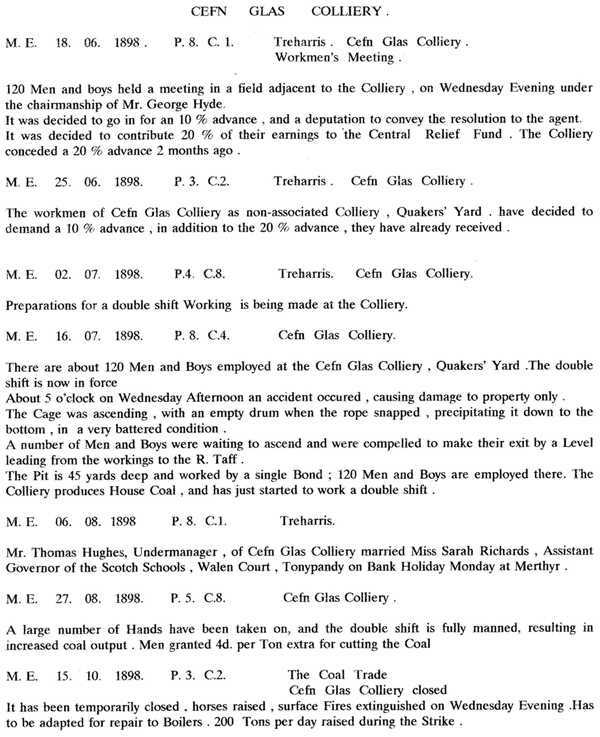 There appears to be many accidents at the pit and problems with rates payments. 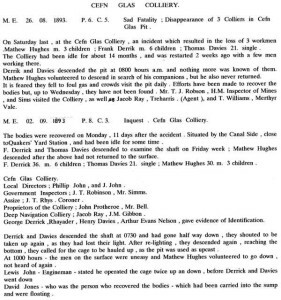 The colliery was often closed for months and then re opened. 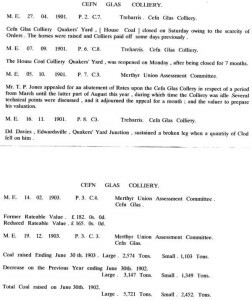 The final record of the mine that I could find is below.